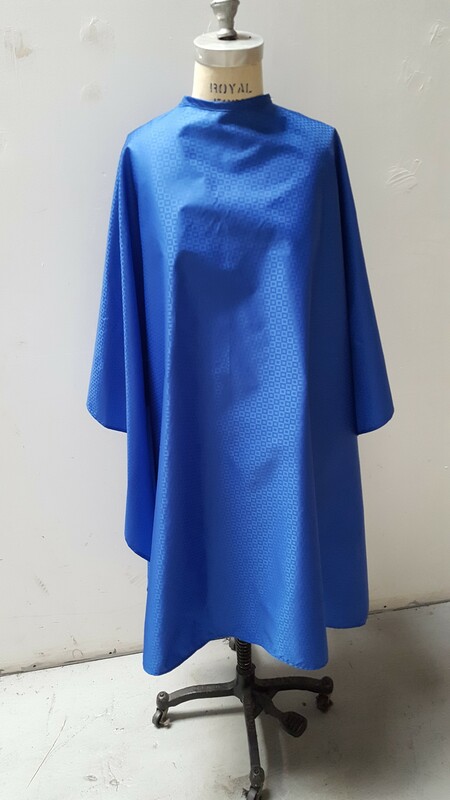 A vibrant royal blue cape that is water repellent. Adjustable snaps at the neckline. 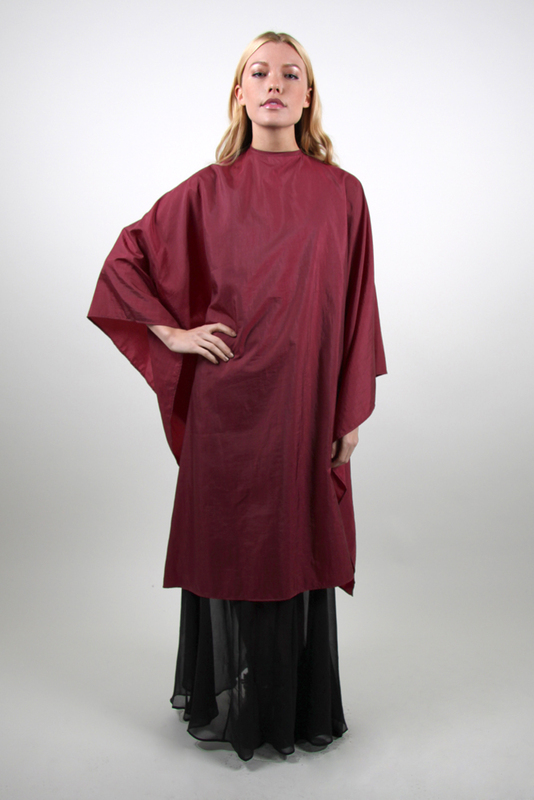 Our best selling cape in bold colors. Polyester / nylon coated fabric with a small pattern. 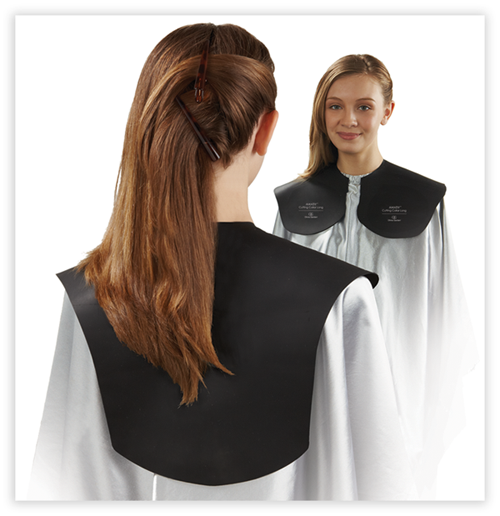 This cape measures 58″ by 58 ” with adjustable snaps at the neckline.